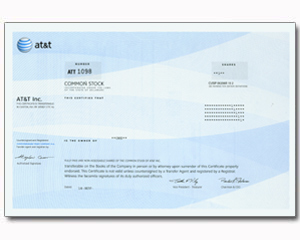 AT&T Inc. (AT&T) is a provider of telecommunications services worldwide. The services and products that it offers include wireless communications, local exchange services, long-distance services, data/broadband and Internet services, video services, telecommunications equipment, managed networking, wholesale services and directory advertising and publishing. AT&T stock is a great choice for those with iPhones because they profit from their calls.